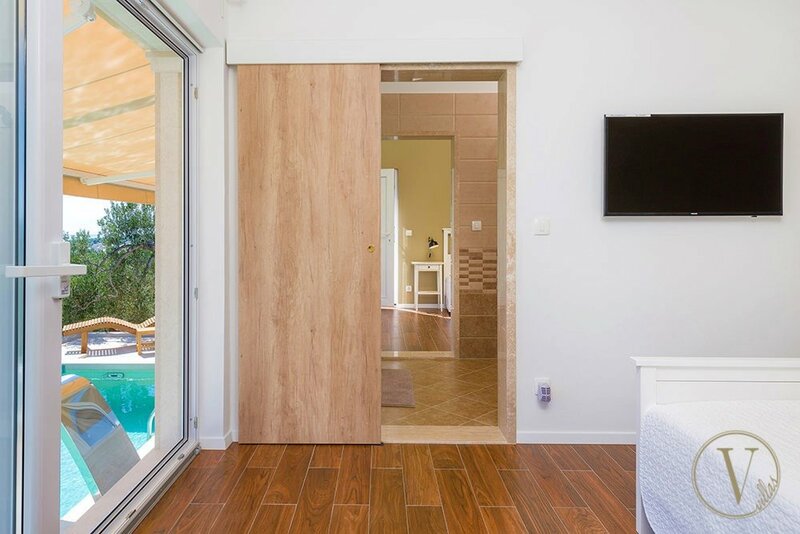 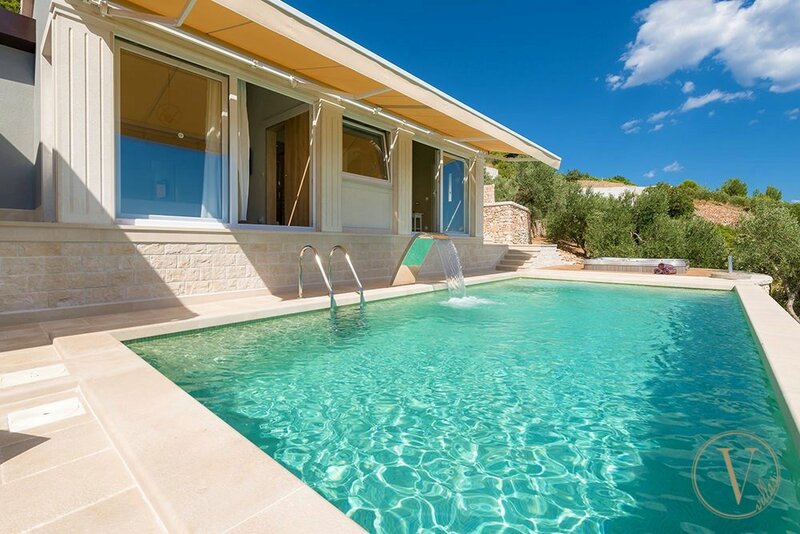 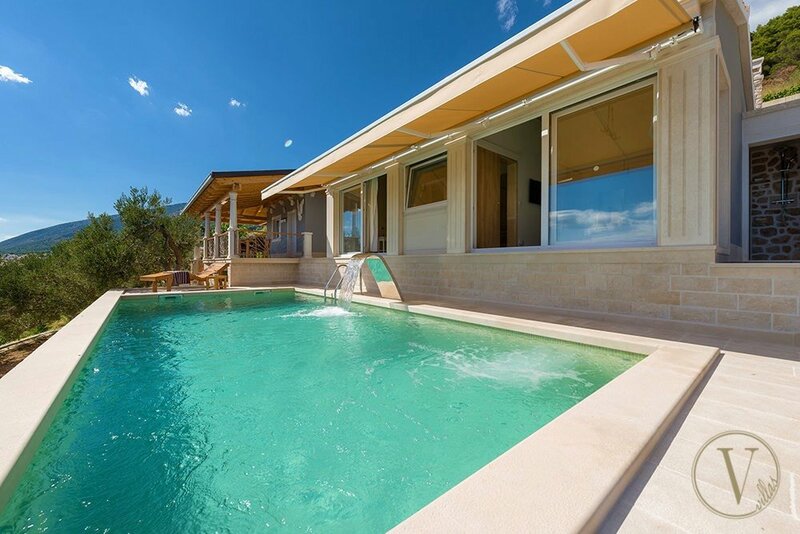 A little haven of luxury between pine forest, vineyards and the sea, Villa Nocturno is the ultimate relaxing retreat set around a wonderful outdoor pool and hot tub, and with all the mod cons you could possibly need. 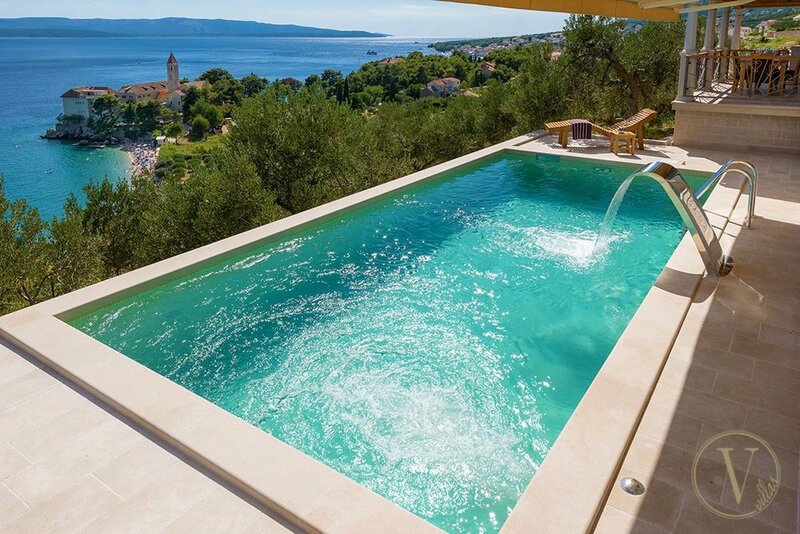 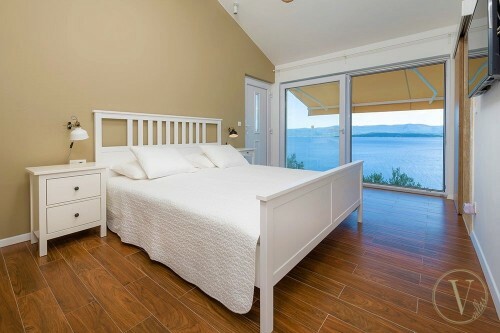 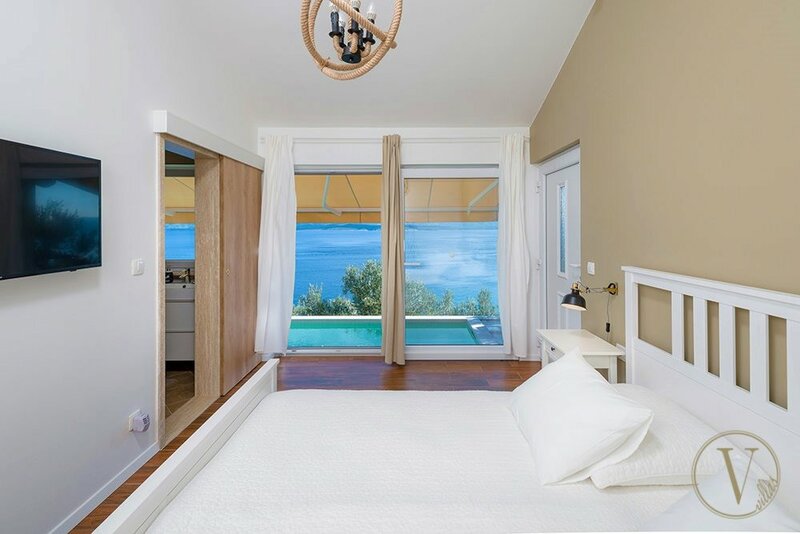 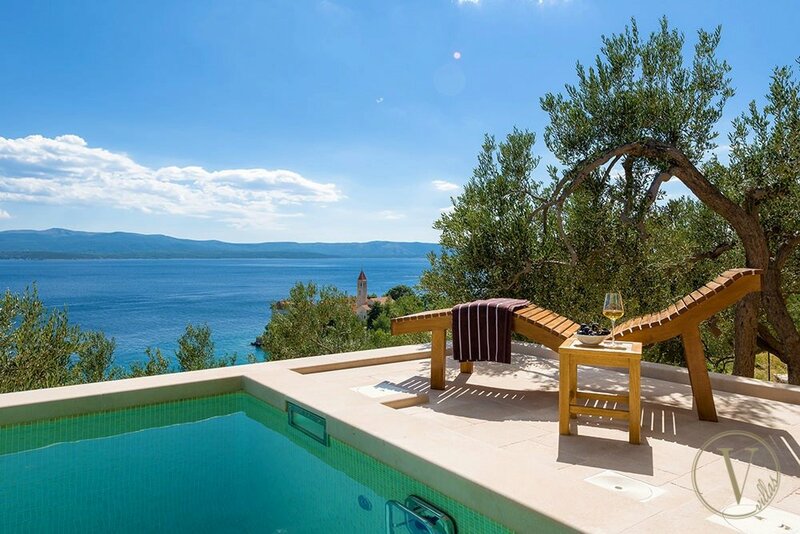 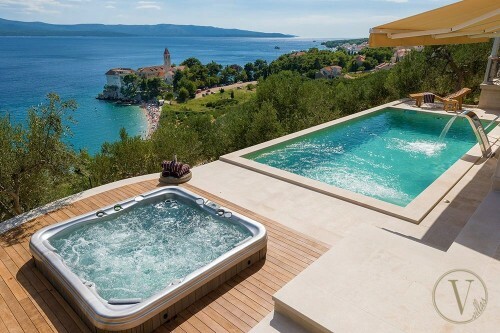 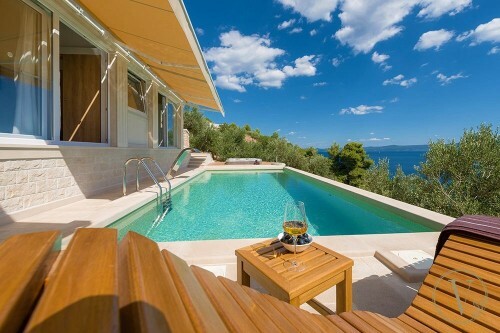 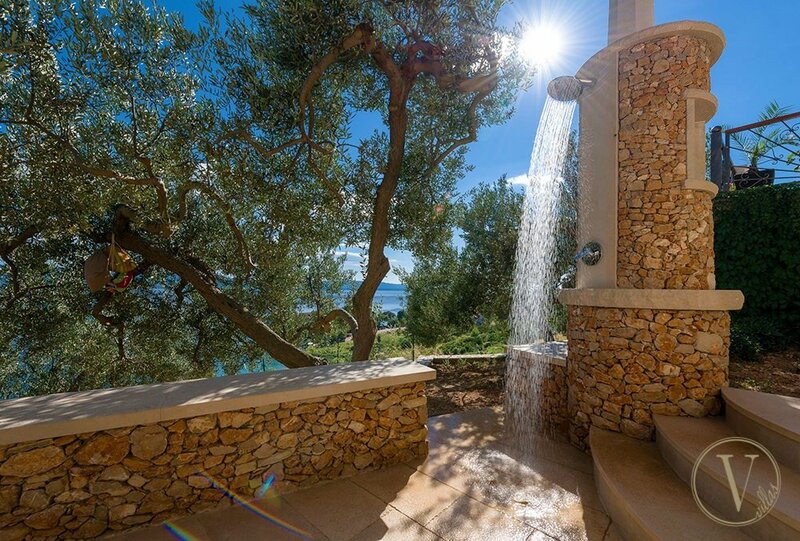 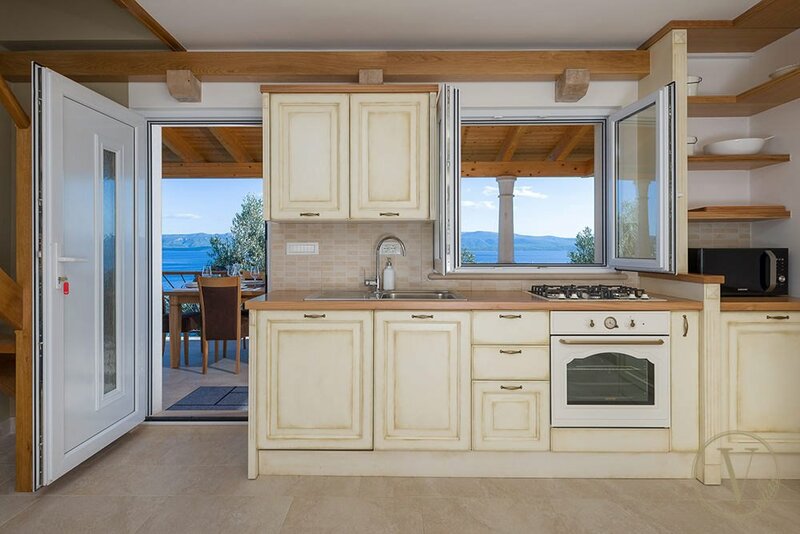 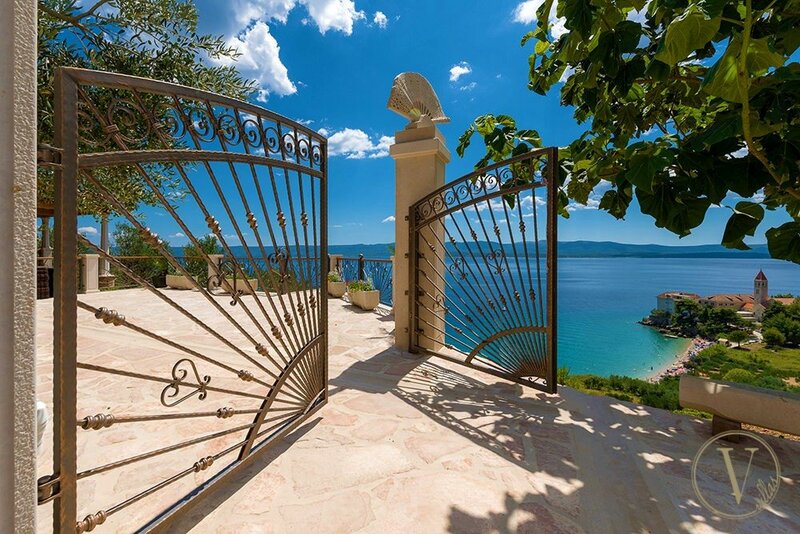 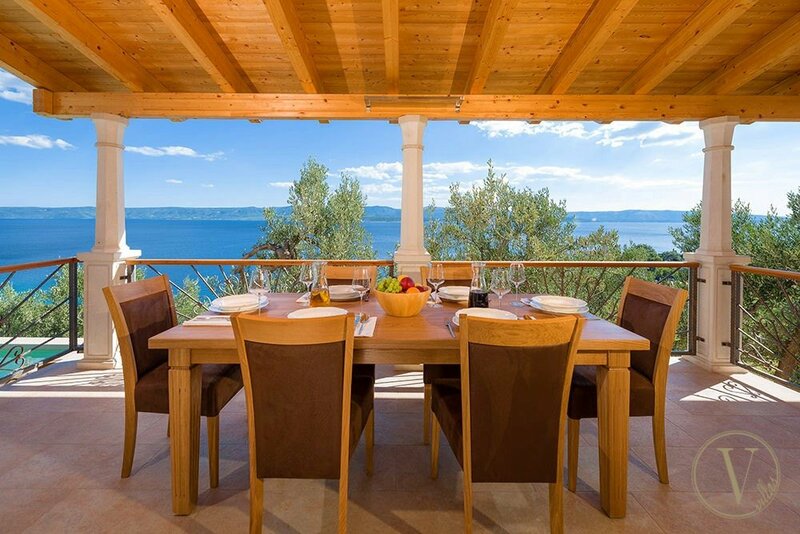 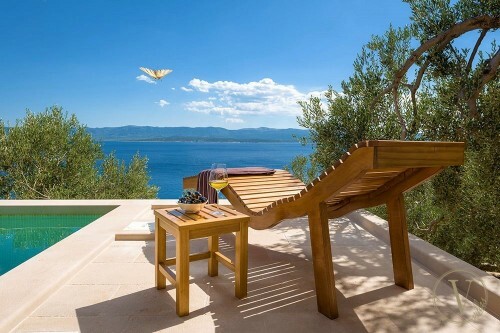 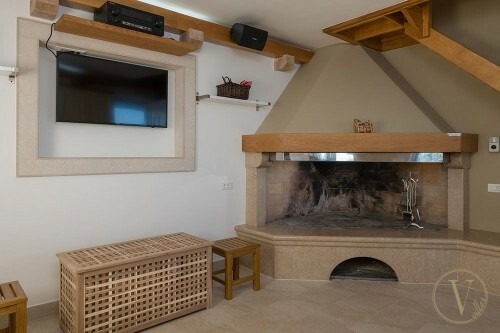 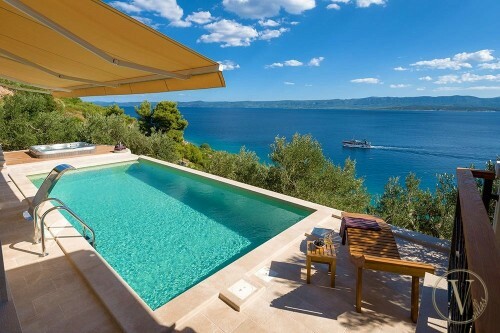 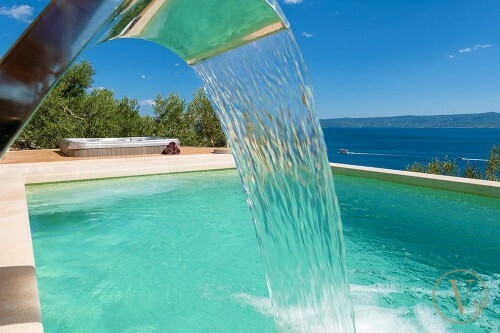 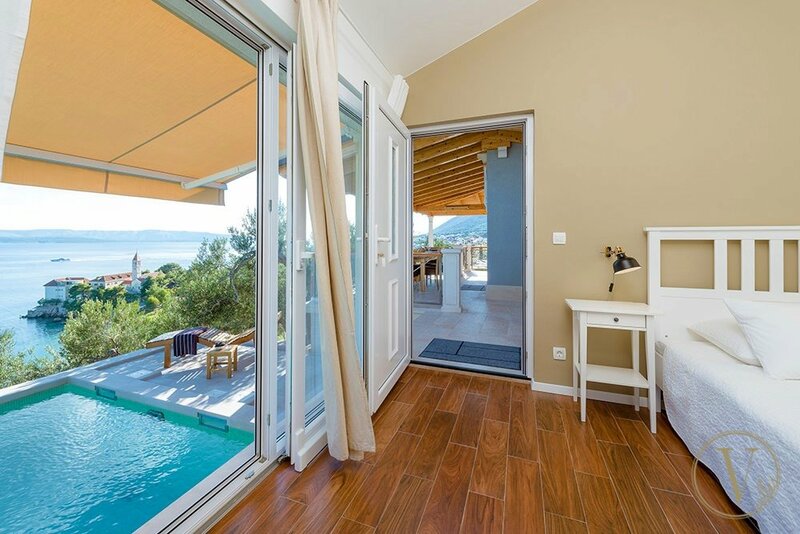 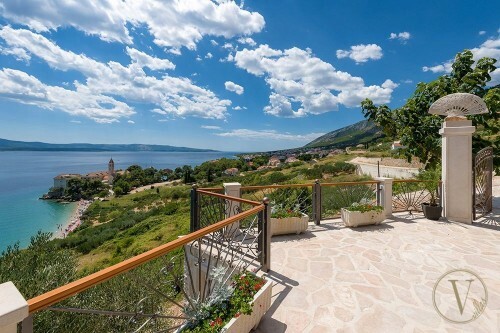 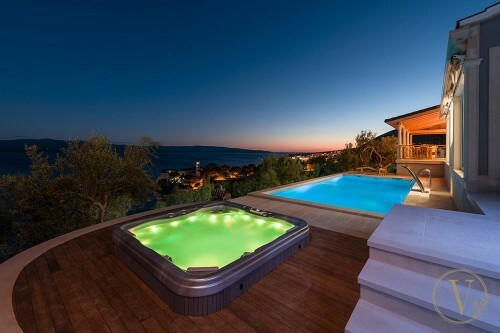 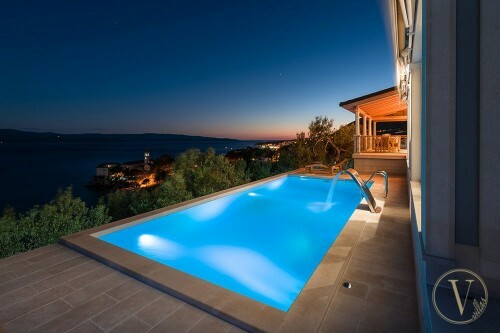 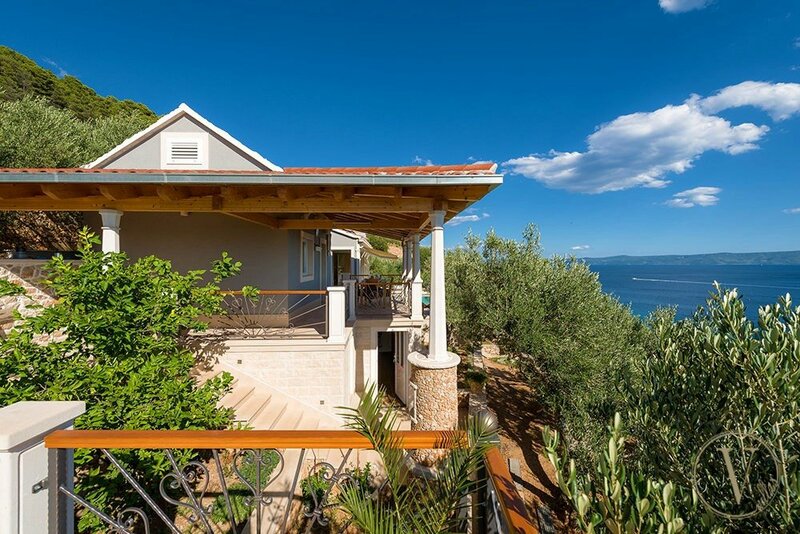 Located on the south side of the island, just outside beautiful Bol town, the villa enjoys an elevated position overlooking a tranquil bay, with a spectacular view of Hvar Island and down to the shimmering waters below. 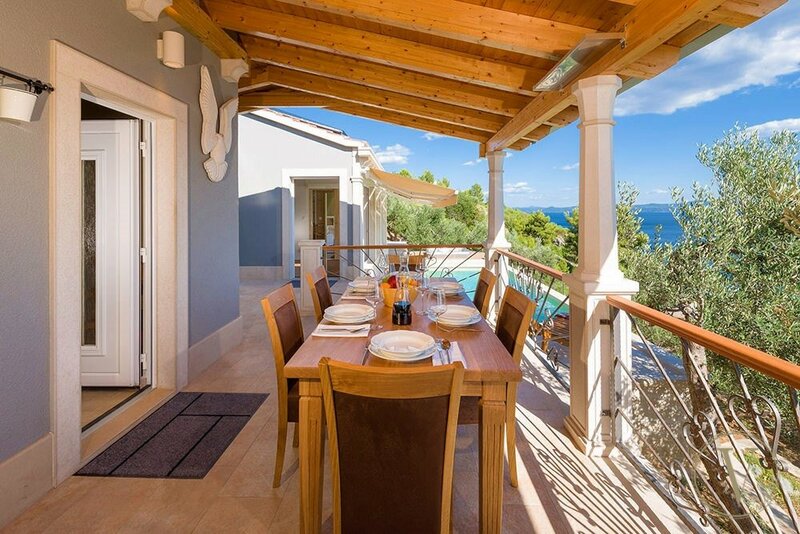 Villa Nocturno sits in a private domain, just moments from the beach. 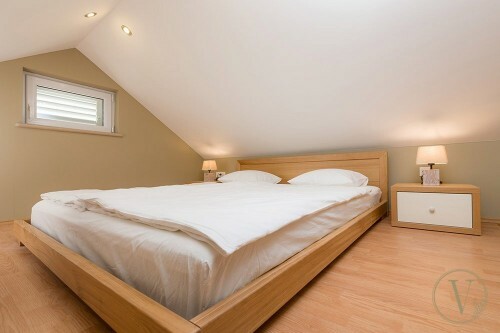 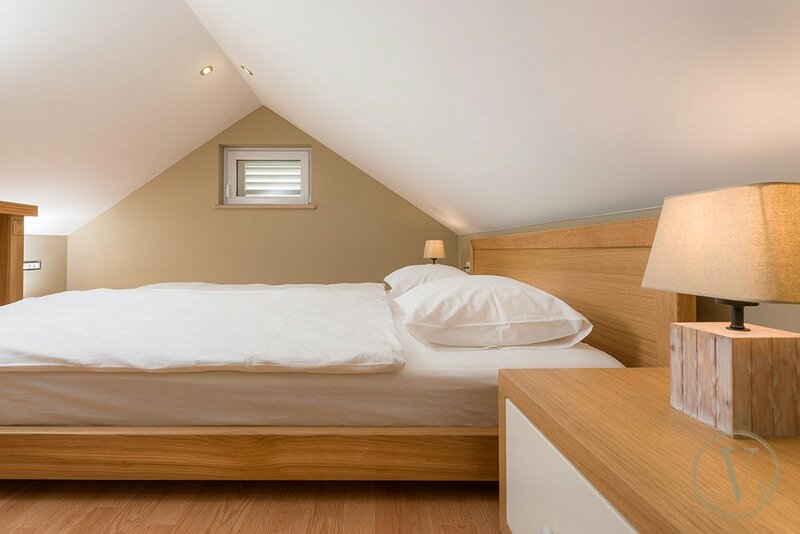 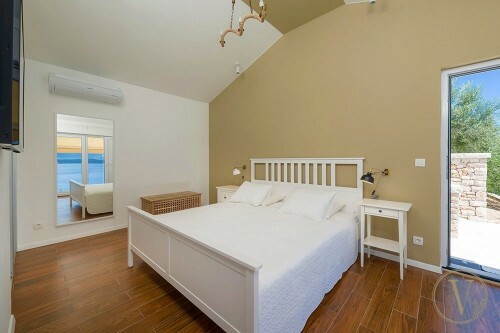 Flooded with light, this house comfortably welcomes a family of six in three spacious and airy bedrooms. 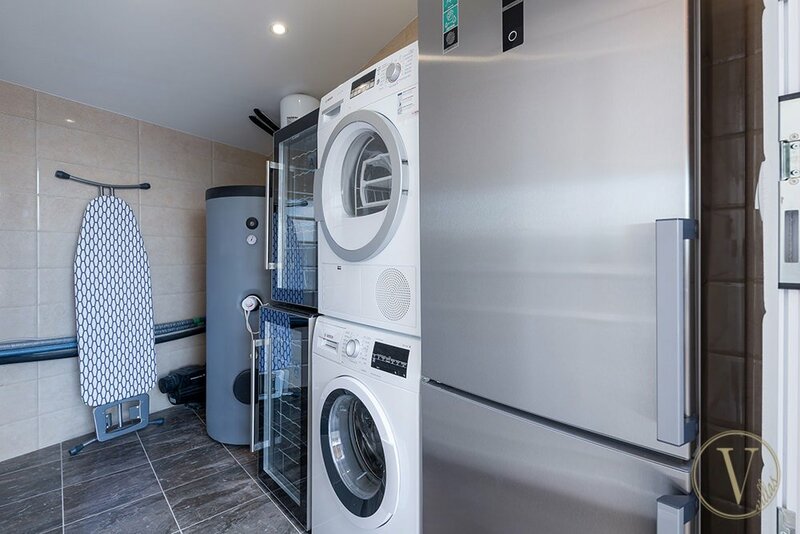 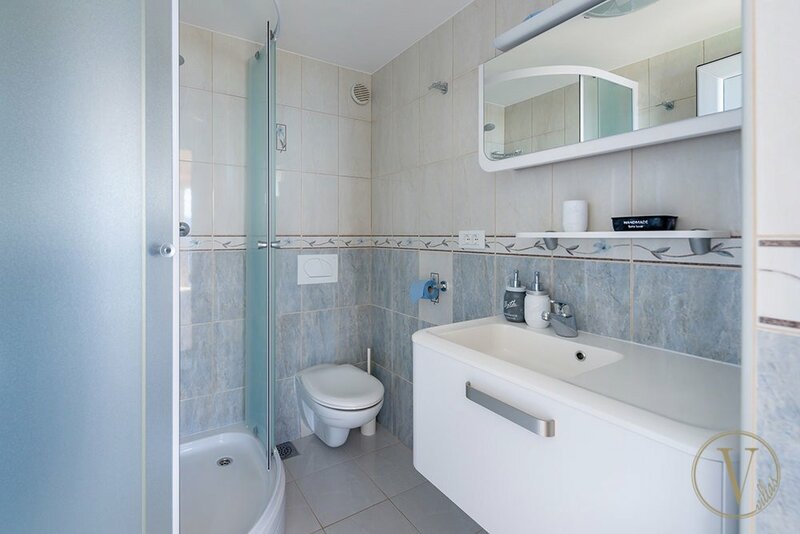 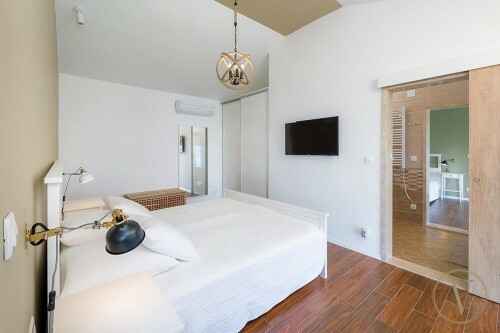 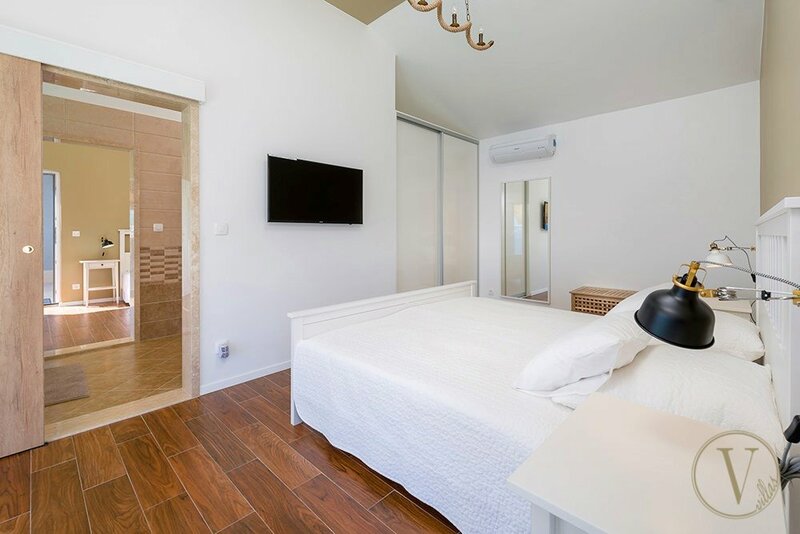 As a part of Villa Nocturno recreational facilities - swimming pool, outdoor hot tub, Finnish sauna, steam room and a gym - allow you and your friends and family to relax and enjoy all year round. A holiday in Villa Nocturno promises sun, style and unforgettable moments. 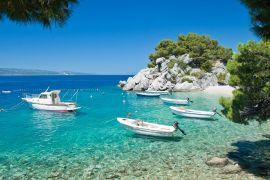 Bol has many beautiful beaches. To the west from Bol lies the beach Zlatni rat (Golden Horn) one of the largest and most beautiful attractions of the Adriatic. Like a small tongue it extends nearly half a kilometer into the clear blue sea. 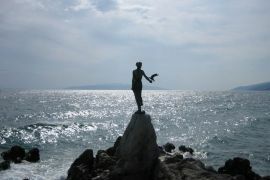 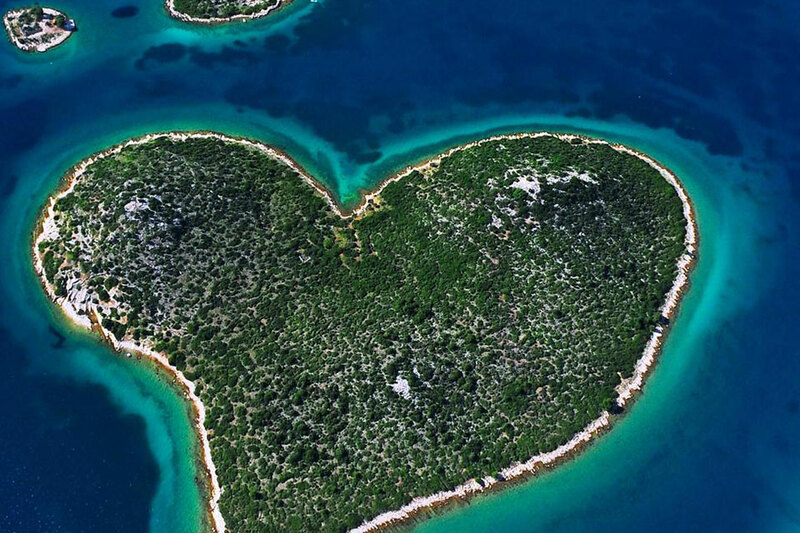 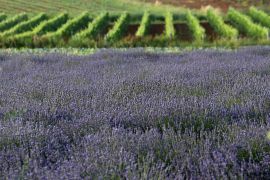 Bol is the inevitable tourist Mecca of Dalmatia and of Croatian Adriatic. 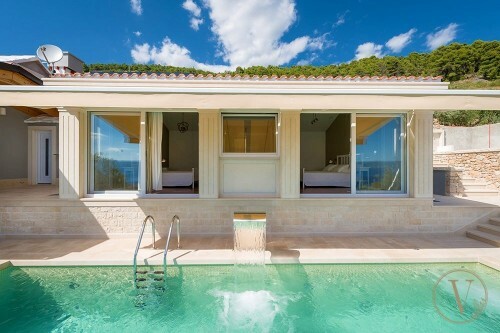 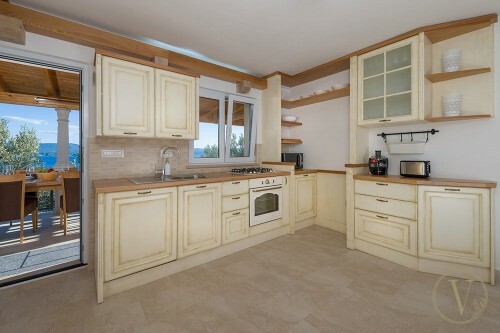 The price includes: VAT, tourist tax and all as listed on the villa homepage. 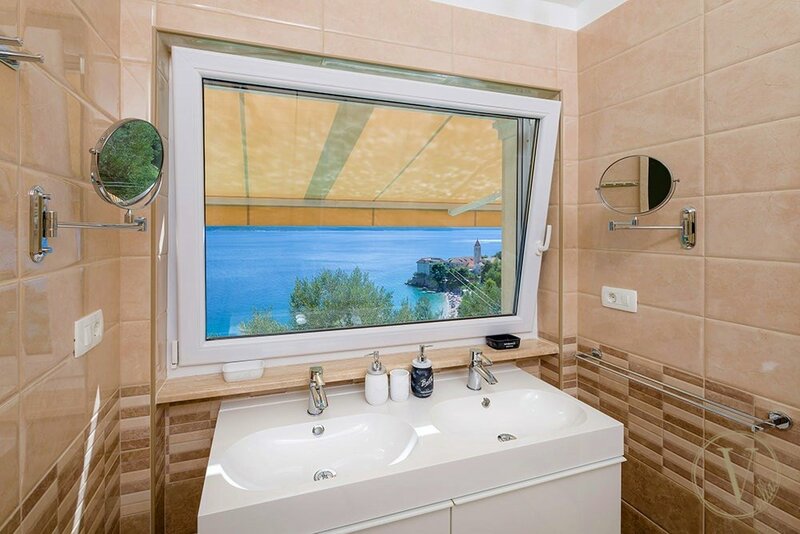 Mandatory final cleaning fee is 100 €. 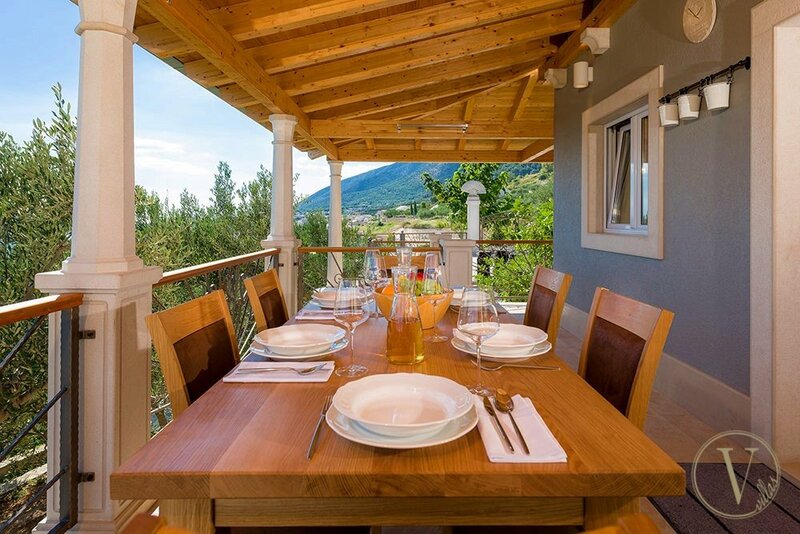 Catering service can be arranged on request and subject of pre-order and additional charge. 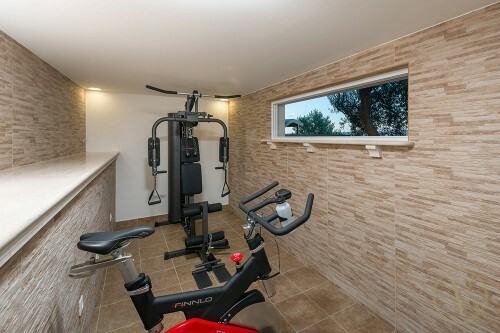 Multifunctional exercise machine, exercise bike. 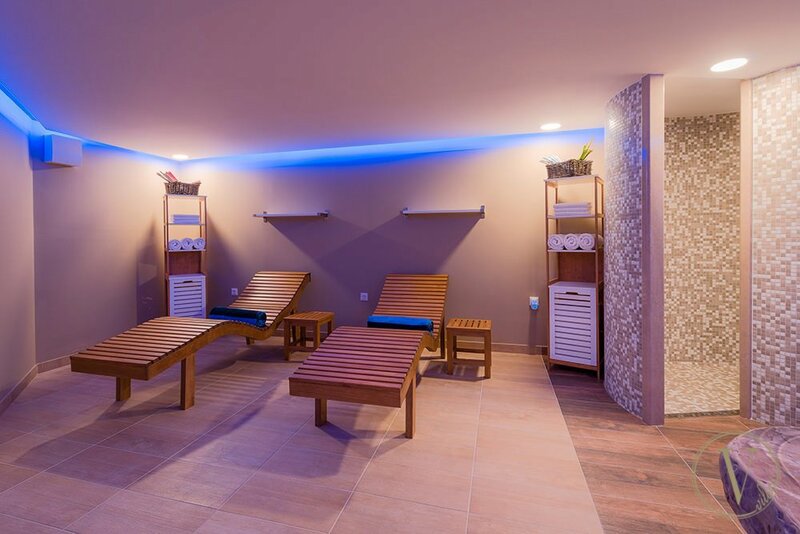 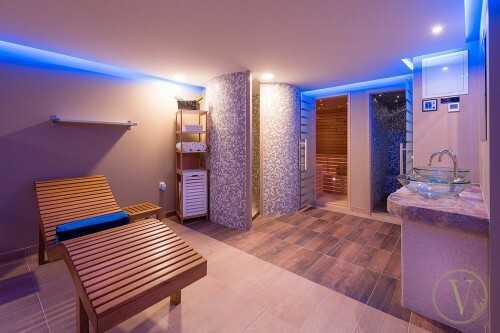 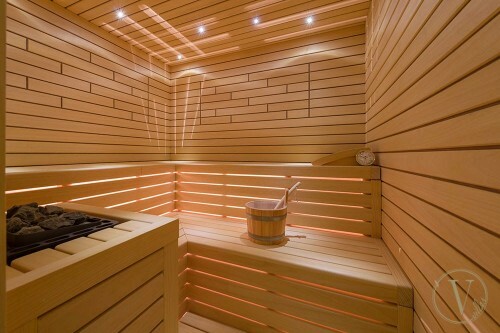 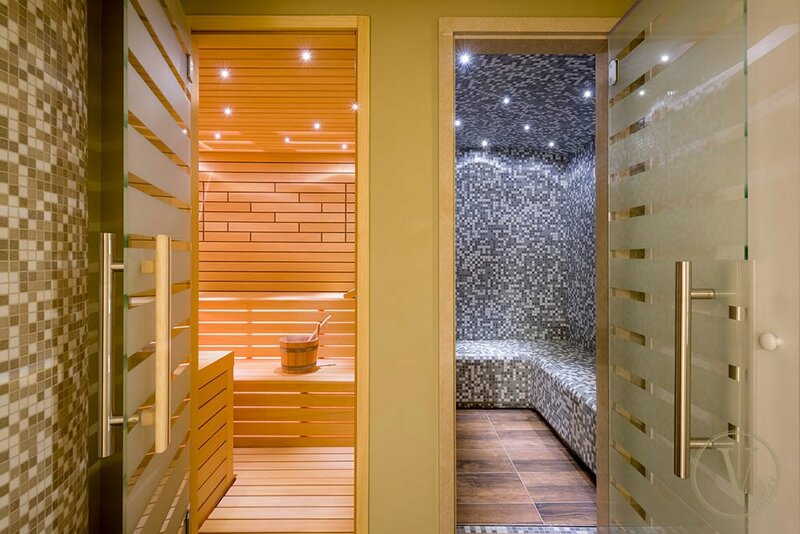 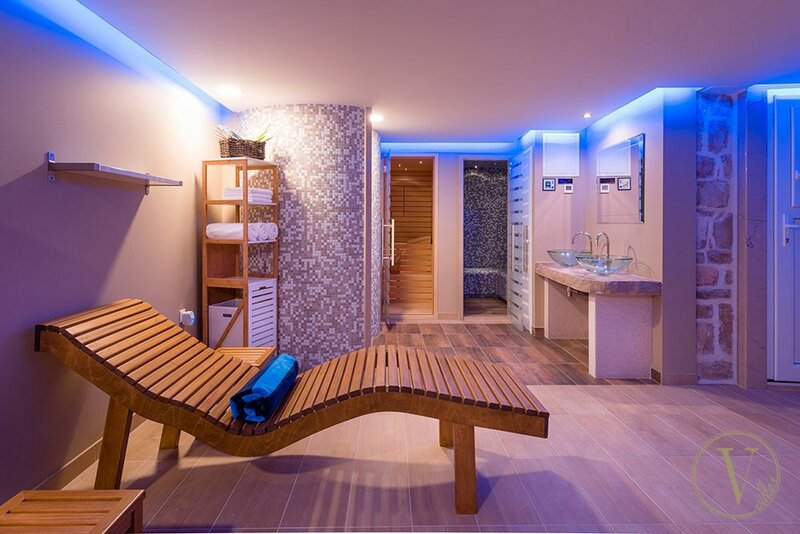 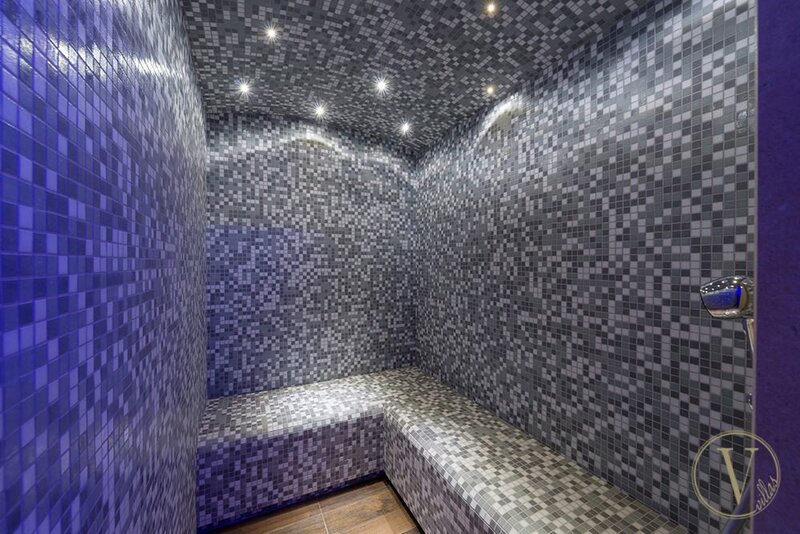 Wellness zone with Finnish sauna, steam room and bathroom. Not recommended for children under the age of 7. Bedrooms #1 and #2 have shared bathroom. 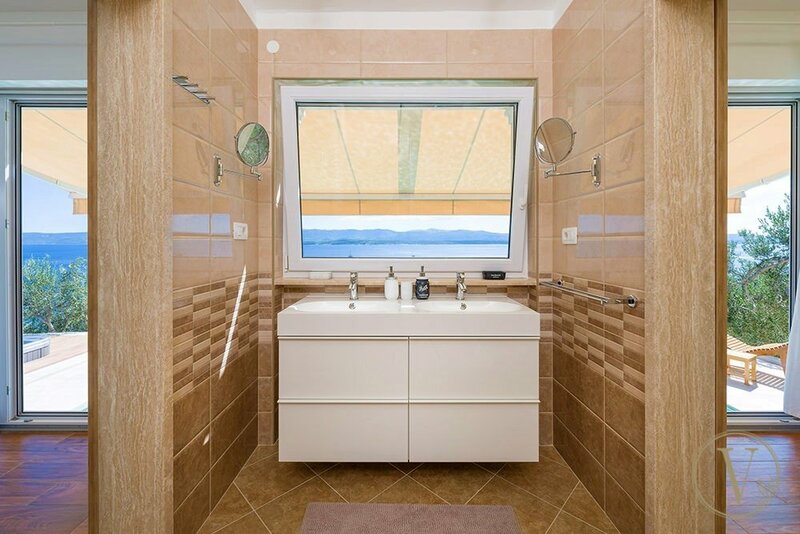 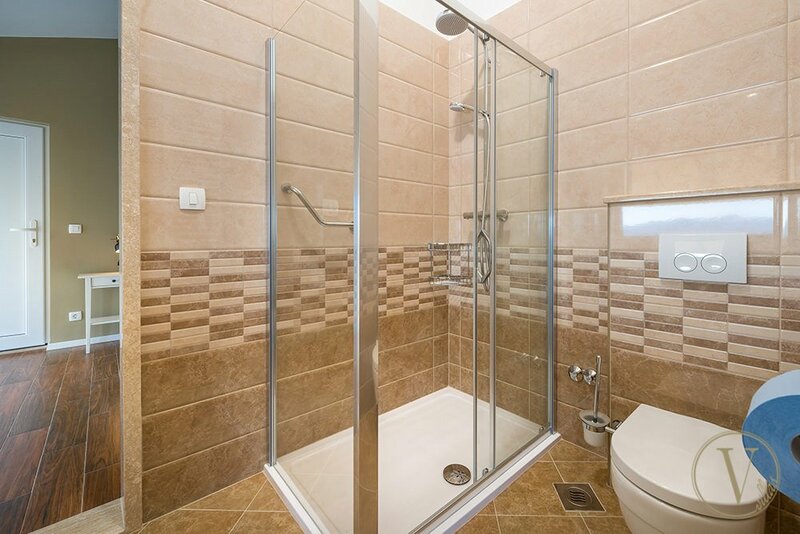 Bathroom #3 next to the sauna and gym.